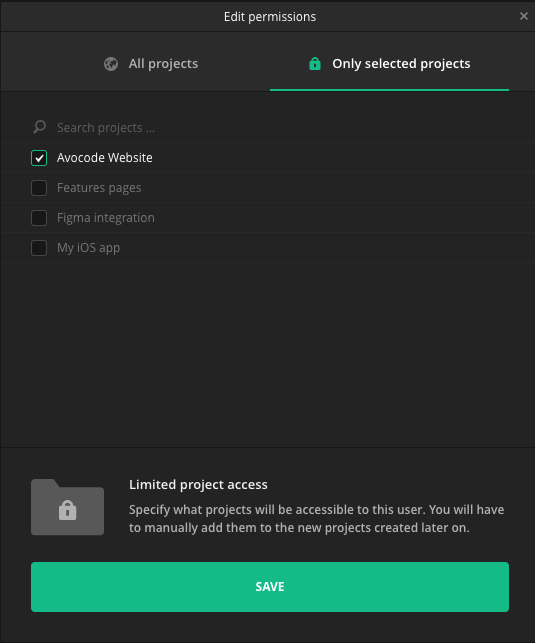 Decide who has access to what project in Avocode - only in the Company and Enterprise plan. With Company and Enterprise plan, you can restrict access for specific members (Contractors) to specific projects. That way they can view and work only on projects you dedicate to them. How to add a new team member?